Product Group: Wall Mounted Fountains Bookmark To MyTotalUSA! 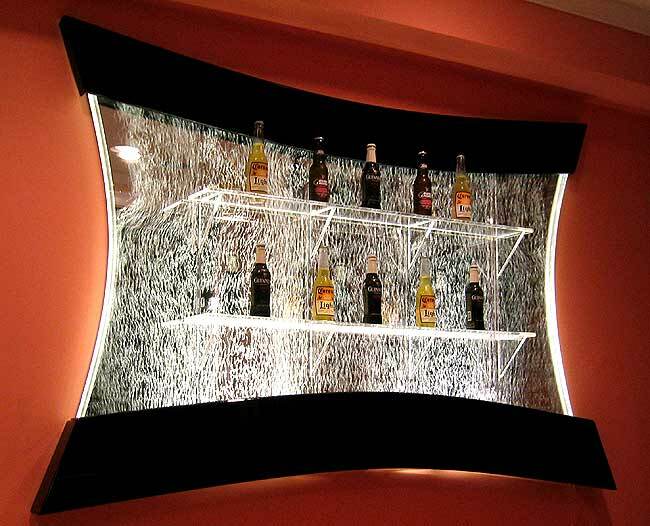 This wall mounted bar is straight out of the future! 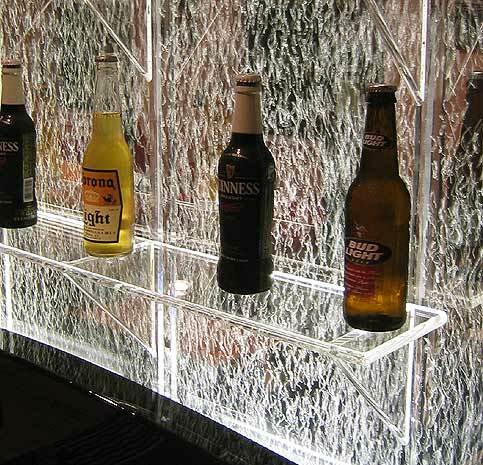 Featuring a lighted acrylic bubble wall with curved sides and mirror back, your bottles will stand out with style on the acrylic shelves. The frame can be made out of your choice of Black Acrylic, Finished Oak, Stainless Steel or Granite/Marble. We can also customize this unit to any shape or style, limited only by imagination.